I have been making too much time for work, working late, and complaining about working too much. The time that we spend with our families and loved ones goes by too quickly, and it’s easy to take for granted. So, I decided to enhance family time activities by starting a backyard garden, which resulted in some extra benefits of gardening I wasn’t expecting. I started a backyard garden and share a community garden with a few neighbors located a few blocks away. We strive to make it as organic as possible, so we only use organic fertilizer that we compost ourselves. In fact, we began composting a year earlier, since it takes almost that long to produce nutrient-rich compost. We also took that time to strategize exactly what we would grow, how much we would grow, and to only grow necessities. Gardening has become a great stress reducing and family bonding activity. It has been instrumental in keeping my focus on recycling. Also, I am saving hundreds of dollars a year on some produce I no longer need to buy at the supermarket. It can cost about $70 to $150 to buy the essential materials that you need to start your own home garden. That includes seeds, fertilizer, topsoil, worms, fencing and caging, and water. Plus, assorted tools like gloves, spades and tillers. You can gain a $530 return at the minimum on a $70 investment. However, it takes time and patience. It can take weeks or months from seed to harvest, depending on what you grow. A 600-square foot garden can result in up to 300 pounds of produce worth over $600. However, I only expect to make half as much in savings, considering the square footage of my backyard garden and the shared community garden. Adjust your investment return expectations accordingly. The average cost of a bag of fertilizer is about $26. Over 95% of compostable, organic waste is taken to landfills. That takes a toll on the environment. For the sake of my gardens, I make an effort to collect all organic waste to collect in compost bins instead of throwing it away. It takes focus and commitment but is worth it. I have been hauling less garbage to the curbside bin. Also, I feel much better knowing that the food my family and neighbors are growing is being fertilized organically. I researched that it is cheaper to grow tomatoes, zucchinis, and lettuce than to buy them. They don’t take up too much space and basically grow in spite of first-time gardener inefficiencies. Some fruits and vegetables require a lot of nutrients, soil, time and hands on maintenance to grow. Think about what you will grow and what you need before you begin. 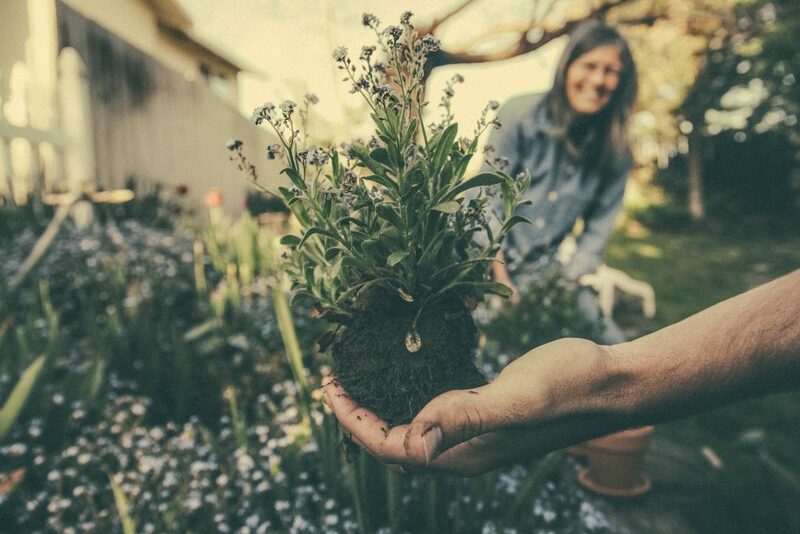 Gardening over 30 minutes a week has been suggested in scientific studies to improve moods, encourage emotional positivity, and even possibly stave off depressive moods. It is good low-impact exercise that is good for the heart and circulatory system over the long term. It is a relaxing and meditative activity that requires you to focus on your actions. Gardening is a great activity for family bonding activities. Strategize how you will start a garden. Don’t rush into it. I will say, I should have taken up gardening years ago. My grocery bills are lighter. I enjoy being in the sunlight and outdoors with my family. Also, I am proud to be growing produce that is organically fertilized. Do you have a garden? Share your thoughts in the comment section below. Thank You for sharing a great information. Good keep doing on it in future.